Come hang out and enjoy the weekend! Hey you! Get some culture and come down to the finest salon slash art show in all of Denver. Great views, great haircuts, great refreshments and great art by yours truly should surely tempt you out of your football and yard work induced comas. 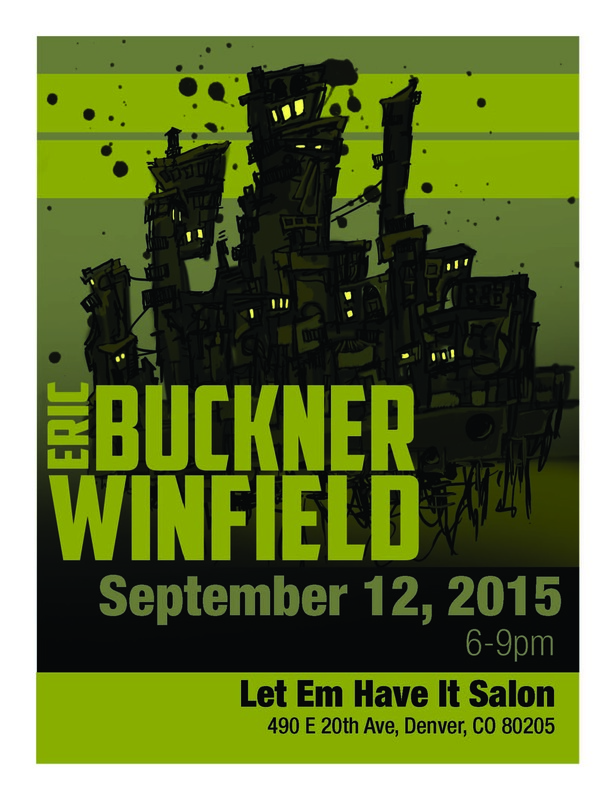 I will be there painting live and schmoozing it up with the best of ’em. Come make fun of my shoes or just stop by to say hi. While you are there look at the walls and enjoy some artwork. I will buy ALL THE ARTS!